We conclude the "Joy Over One" sermon series by studying Luke 4:16-30. Jesus calls us to do whatever it takes to create encounters with Jesus for others. Today, we study Mark 2:1-12 to learn about four people who went above and beyond to get their friend in front of Jesus. We study Psalm 11 to look at our world's need and desire for Divine Judgement. We begin a new series studying Matthew 4:18-23 and how Jesus teaches that multiplying disciples is inherent to following Him. To start the series, we asked five diagnostic questions to assess the condition of our hearts in regards to our willingness to multiply. Click here to access the "Five Day Heart Assessment Journal" that we passed out on Sunday morning. As we study Ruth 3, we see how Ruth's act of faith in taking refuge under the wings of Boaz, her redeemer, is an illustration of how we take refuge under our redeemer, Jesus Christ. 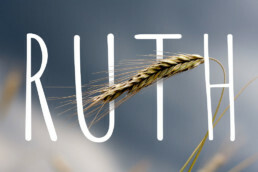 We study Ruth 2 together and discuss how God's incredible act of grace towards Ruth became the remedy to Naomi's bitterness. 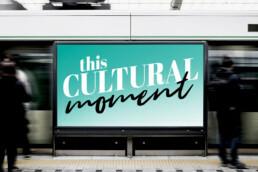 For our fifth installment in the "This Cultural Moment" series, we look to the Word of God to learn how the church should think about the practice of abortion.